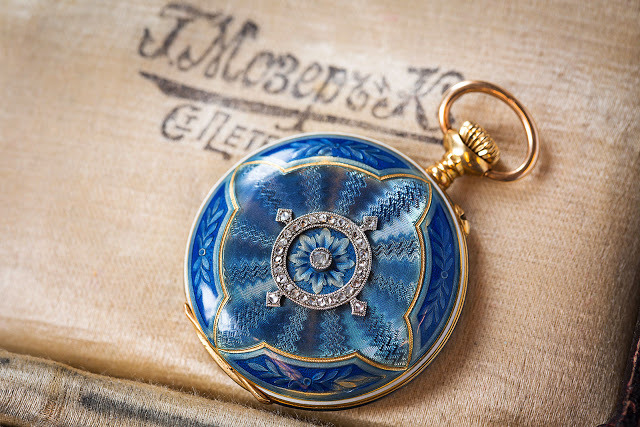 H. Moser & Cie. marks the tenth anniversary of its signature perpetual calendar with a limited edition modelled on an enamelled, 19th century pocket watch. One of the nine newcomers to SIHH 2016, H. Moser & Cie. turned to its past for inspiration, resulting in the Perpetual Calendar Heritage limited edition that resembles a pocket watch for the wrist. Fitted with hinged, enamelled lids on the front and back, the Perpetual Calendar Heritage is a striking departure from the signature H. Moser & Cie. aesthetic that emphasises clean lines and functionality. Paradoxically, the Perpetual Calendar Heritage is meant to mark the tenth year of the Moser perpetual calendar, one of the most concise and functional on the market. 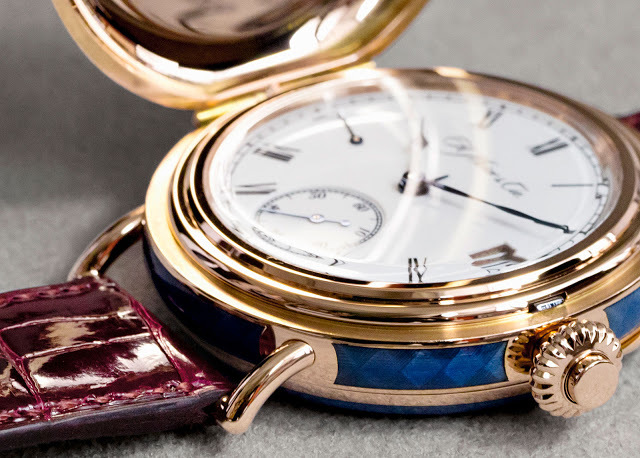 On the dial the movement shows the time, date, month and power reserve, with the leap year indicator on the back. 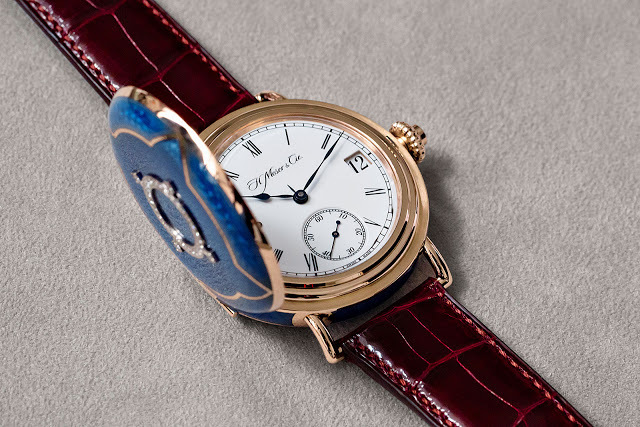 The dial is white fired enamel, while the case is covered with champleve enamel – translucent blue enamel over a guilloche rose gold case. And the hinged lid over the dial is also set with diamonds, just like on the 19th century pocket watch that served as its inspiration. 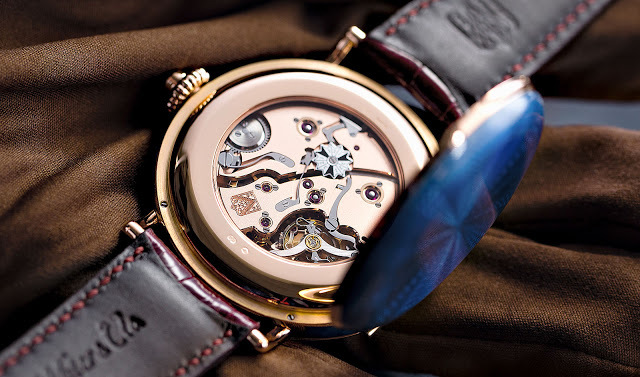 Under the hinged back is the HMC 341 movement. Though it’s identical to the ordinary perpetual calendar in function, the materials and finishing differ. All the bridges as well as the base plate are 18k pink gold, finished with a fine frosting (instead of brass bridges finished with striping). The balance wheel is fitted to a double hairspring, while the balance pivot sits on twin diamond endstones. The Perpetual Calendar Heritage is a large 46 mm in diameter, standing some 13.6 mm high to accommodate the twin hinged covers. 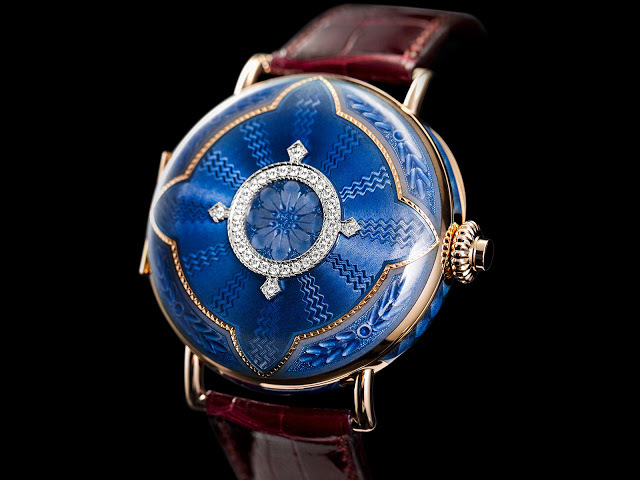 It’s a limited edition of 10 pieces with a retail price of approximately US$250,000. Updated January 18, 2016: Price and limited edition quantity added.